Travellers should research the health risks at their destination on our Country Information pages and check the Foreign and Commonwealth Office security information. Travellers requiring vaccines or malaria tablets should book an appointment with their healthcare provider at least four to six weeks before travel. An appointment is still worthwhile for those with less time. For those with pre-existing health problems, an earlier appointment is recommended, even when vaccines or malaria tablets are not required. All travellers should ensure they have adequate travel health insurance. The European Health Insurance card (EHIC) should be obtained for travel to countries within the European Economic area and Switzerland. The EHIC card is not an alternative to travel health insurance. 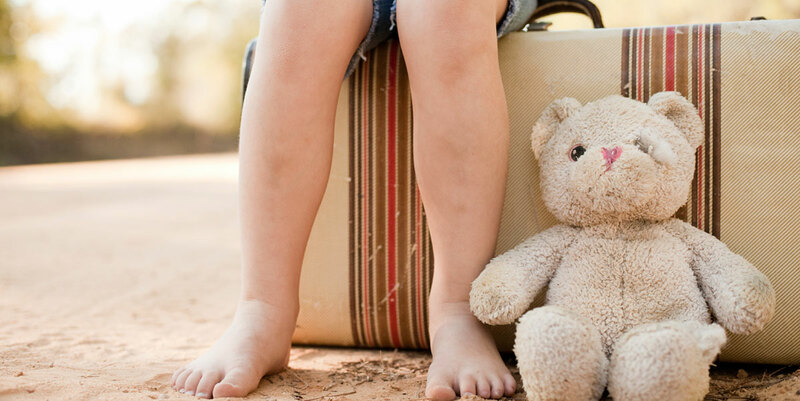 This article contains information and advice on preparing for safe and healthy travel and some basic precautions to follow while away. While most travellers have a healthy and safe trip, some risks are relevant to travellers regardless of destination. These may include road traffic and other accidents, diseases transmitted by insects or ticks, diseases transmitted by contaminated food and water, sexually transmitted infections or health issues related to the heat or cold. Travellers can visit the Country Information pages of our website to find useful resources and recommendations on travel vaccinations, malaria, disease outbreaks and other risks where relevant. The Foreign and Commonwealth Office website contains useful information on safety and security issues worldwide. For those requiring vaccines or malaria tablets, an appointment with a health professional should be booked at least four to six weeks before travel. For some travellers, courses of vaccines may be recommended, which can take a number of weeks to complete. However, even if time is short, an appointment is still worthwhile as some vaccines and malaria tablets can be given to last minute travellers. For those with pre-existing health problems, an earlier appointment is recommended, even when travel vaccines or malaria tablets are not required, as a general check-up before travel is advisable. Many GP surgeries operate a travel clinic, usually run by the practice nurse. Travellers should try to allow plenty of time to make an appointment, as surgeries are often very busy. Some travel vaccines are available free with GP surgeries, others are usually charged for such as yellow fever, rabies and Japanese encephalitis vaccinations. There are also many specialist travel clinics around the country; these usually operate on a private basis. Those visiting private clinics should remember to take records of previous vaccinations and details of any medical conditions and medications with them. Travel clinics offering the yellow fever vaccine in England, Wales and Northern Ireland can be found on our website. Following this risk assessment, the health professional will make recommendations on any appropriate vaccines and malaria tablets, as well as offering advice on how to reduce the risk of other potential hazards. Travellers should ensure they have adequate travel health insurance and that emergency contact numbers are carried. The European Health Insurance card (EHIC) should be obtained for travel to countries within the European Economic area and Switzerland. The EHIC is not an alternative to travel insurance. It will not cover the costs of search and rescue, private healthcare, being transported home or lost / stolen property. Those taking medication should check if there are any restrictions entering or travelling through the countries on their itinerary with the relevant embassy (see resources below). Medication should be carried in its original pharmacy packaging, along with copies of prescriptions and supplies should be adequate to cope with potential travel delays. A letter from the GP or prescriber detailing the medicines is also advised. Travellers should consider packing a medical kit tailored to their destination such as a first aid pack containing items such as basic analgesia (pain killers), gauze, antiseptic, non-stick wound dressings, tape, plasters, tweezers and a thermometer. Other items may include sun screen, insect repellent, diarrhoea treatment medication and oral rehydration solution, condoms, an impregnated mosquito net and water disinfection equipment. Those planning long distance travel (more than 4 hours) should consider if they are at increased risk of deep vein thrombosis (venous thromboembolism -VTE). Those at increased risk include older travellers, pregnant women, those with a previous history of VTE or recent surgery, those with certain blood clotting disorders, malignancy, certain heart conditions and those taking oestrogen containing medicines (see resources section). These travellers should consider the use of properly fitted compression socks and seek advice from their healthcare provider. Low molecular weight heparin therapy may be recommended for those at particular risk. Aspirin is not recommended for the prevention of VTE during travel . To reduce the risk of VTE, travellers should regularly mobilise their legs (walk when possible or flex and extend the ankles to encourage blood flow from the lower legs). Travel provides a great opportunity to try new food and drinks. However, it is sensible to try and select safer options where possible. Travellers’ diarrhoea can occur in any destination but it is particularly common in those visiting low-income countries. It can be difficult to avoid in some areas, but travellers can try and reduce their risk by taking care with food and water hygiene (see resources). It is also sensible to be prepared to manage the symptoms of diarrhoea. Insect bites can lead to skin irritation or infection. In some countries, insects and ticks can also transmit a number of different diseases. Travellers should reduce their risk by using bite avoidance measures. Protective clothing, impregnated mosquito nets and repellents are helpful. Insect repellents containing N, N-diethylmetatoluamide (DEET) are the most effective ; they have been widely tested under field conditions. They can be used in concentrations up to 50 percent in pregnant or breast-feeding women, and in infants and children older than two months . The sun can be enjoyed safely by using shade, protective clothing, sunglasses and sunscreen to prevent burning. Travellers should be alert to personal safety issues and remember that alcohol or drug use may increase the risk of accidents and injuries and can invalidate travel insurance claims. Drinking alcohol is forbidden in some countries and the penalties for supplying or possessing illicit drugs can be very severe in some countries. Travellers returning with fever, diarrhoea with blood or any other worrying symptoms, such as altered mental status, severe abdominal pain, jaundice or rash should seek prompt medical care. Those taking malaria tablets should remember to complete the course of tablets as recommended. Travellers who have been in contact with fresh water rivers and lakes in the tropics (for example for swimming or wading) should enquire about schistosomiasis screening tests if the disease is considered to be present in the country. Countries with risk of schistosomiasis can be found on the Country Information pages in the ‘other risks’ section, see also Diseases in Brief. These tests are usually performed at least 12 weeks after last possible exposure to the water. GP centres may offer these tests or may refer travellers to a specialist unit. Goodyer LI, Croft AM, Frances SP, et al. Expert review of the evidence base for arthropod bite avoidance. J Trav Med. 17:182-92, 2010.